Maddie Boyd was drafted by Melbourne with their fifteenth selection and 120th overall in the 2016 AFL Women's draft. She made her debut in the fifteen point loss to Brisbane at Casey Fields in the opening round of the 2017 season. She played every match in her debut season to finish with seven games. She is a tall all-rounder who provides versatility as a second ruck and can pinch-hit forward and go back as necessary. 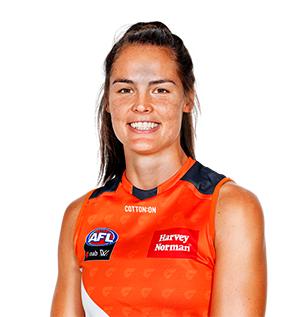 Boyd joined the GIANTS in the 2017 off-season in exchange for pick 33 in the 2017 NAB AFLW Draft.